This post on nap time was sponsored by Walmart and Parent’s Choice. All opinions are my own. We have three kids ages five and under. It can sometimes be inconvenient, but nap time is a huge priority around here for us. I know nap time can be a challenge for parents of multiple kids. I thought I would take the time today to share what works for us and how we get all three kids to nap at the same time. First things first. If you want your kids to take naps, you need to be consistent. We sometimes feel like slaves to nap time – but it is worth it. Unless it’s a very special circumstance, we do not skip nap time. That means we camp out at home after lunch every single day. It’s important for us (the parents) to get that break each day and it’s important for our kids to get rest ( WebMD totally agrees). The other thing about consistent nap times for multiple kids is to be consistent with where they nap and the time. For us, that means we take a nap right after lunch and each kid naps in their beds. When you have little kids, extra bedding is a sanity saver. I can quickly change the sheets without making them wait for me to wash them. 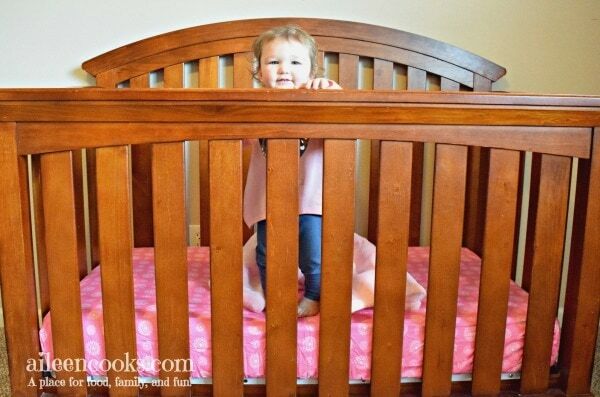 This is especially helpful if one of them wets the bed and needs their sheets changed – right in the middle of nap time. If I move quick enough, I can usually salvage nap time. I love Parents choice Mix and Match Bedding as an affordable option that lets me stock up on bedding for my whole crew. With three kids five and under, I take advantage of high value – yet high quality – items as much as I can. I love that their crib sheets are so affordable that I can afford to have several sets. Parent’s Choice Mix and Match Bedding come in lots of trendy patterns like chevrons, arrows, and owls. They come in nine coordinating colors, so you can mix and match your receiving blankets, crib sheets, and baby blankets. All of the items in the line are under $40, but most are under $13. All three of our kids also have special blankets they sleep with each nap time and bed time. It makes them feel safe, secure, and comfortable. 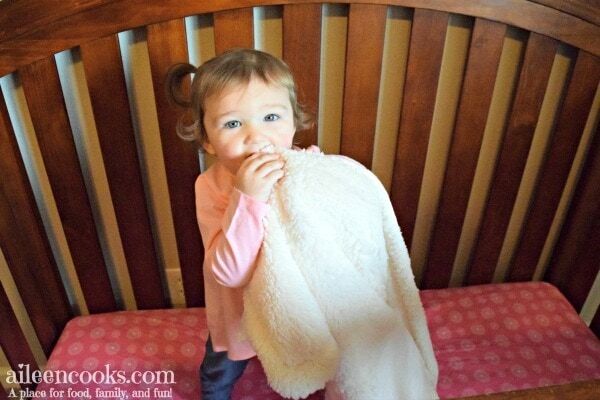 There is something about having a snuggly blanket that helps our kids transition to nap time. It gives them something to cuddle (other than their mama), so they can relax and drift off to sleep. Our kids love their blankies. I love that they are the perfect transition object for my kids. They are soft and snuggly and there isn’t any pressure to get rid of them quickly (ahem, pacifiers). 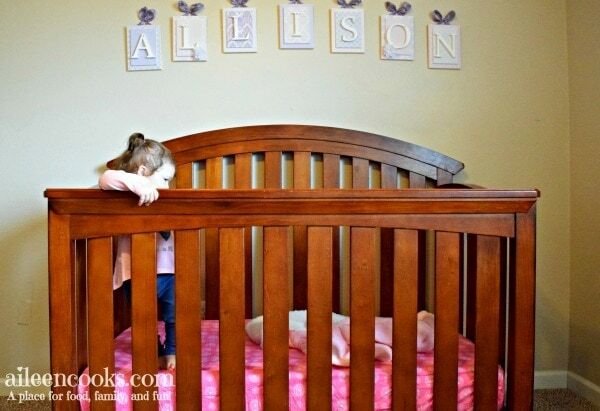 Having a designated, but separate sleep area for each child is really important. If your kids share rooms, I highly recommend setting up some type of sleep situation in a different space for each child. Nap time was the main reason why we decided not to have our kids share a room anymore. We allowed our oldest to “stop taking naps” so his sister could nap in their room and it was a huge mistake. We saw a significant change in his day-to-day mood when he dropped nap time. We learned that our son needs the down time each day – even if he doesn’t actually sleep. Don’t give in to giving up naps like we did. It took a really long time for us to get our oldest back in the groove of nap time each day. If I could do it over again, I would have set him up on a cot in a quiet spot in our house or had him nap in our bed. Anything to keep that nap time routine. It really is beneficial for the whole family. If your child seems to no longer need a mid-day nap, than transition to quiet time. 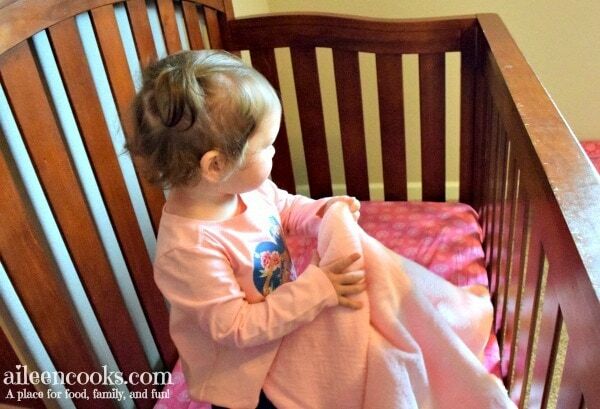 Quiet time is a designated time (during nap time) where your child needs to stay in their nap area. They may play quietly, but must stay in their room or other designated spot. You may need to be strict about it at first, but your child will eventually get into a groove. Many parents have special sets of toys only allowed during quiet time as an incentive. Our son does so much better with quiet time each day. He does not nap every day anymore (at age 5), but he does hang out quietly in his room and play with his cars, build with blocks, or read books. In the beginning of the school year, he was put in PM kindergarten and was forced to miss out on quiet time. We saw a huge change in his overall mood due to lack of rest time. Fortunately, his school worked with us to move him to AM Kindergarten and we are back on the 3 kids nap time schedule. Next year, William will be in 1st grade and on a full day schedule. Until then, we are sticking with our consistent routine, cozy bedding, and quiet time option. It works for us to get all three kids to nap at the same time. Hopefully it will work for you, too! Super cute bedding!! Getting the kids to nap at the same time sounds amazing. Great tips!